Issue 1 of Marineman has been solicited! So place your orders now! The Toronto Fan Expo was a great show as always and I was kept very busy, thanks to everyone who turned up to get their comics signed. Next year they'll be Marineman comics! It was good to hang out with Gary Frank again and I met industry legend, Bob Layton, who I got on really well with too. Issue 4 is almost inked so next month I'll be pressing on with issue 5 which is looking like it's going to have more pages than the previous issues! I think issue 6 is going to end up having more pages than I want to think about...! I'm going to be honest--I was not the biggest fan of your earlier work. I liked it well enough, but in many ways I thought you were a poor man's Jim Lee, I'm sorry to say. I hope you don't take that the wrong way. However, when you came back to do Hulk in the different style? I loved it. I loved the similarities to, say, Darwyn Cooke. And now we come to this. I saw it in the solicitations and was floored. If I had to pick an artist to equate you to now, I wouldn't pick Jim Lee or Darwyn Cooke--I'd pick Mike Wieringo, whose passing has left a huge hole in the industry. 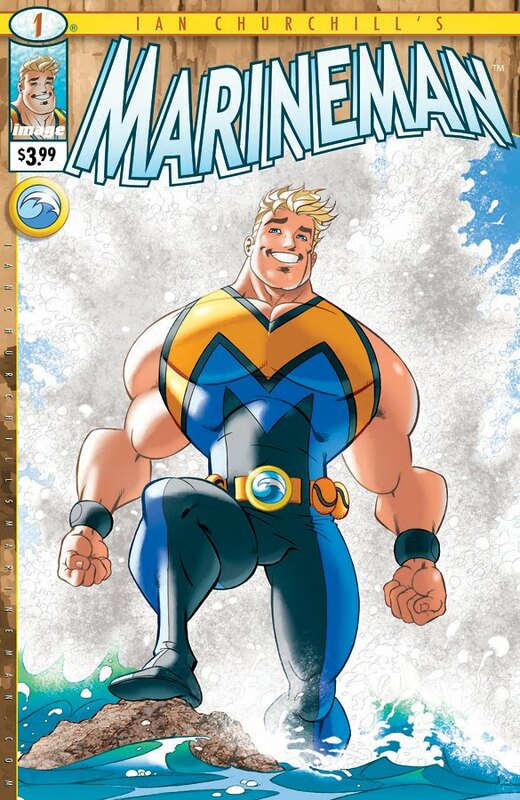 Based on the preview, I get a sudden sense of a dream book, 'Ringo's Aquaman--but from your different perspective. I hope you aren't taking offense to me comparing you to other artists. Also, I'm rambling. But seriously, I am so excited for this. It's rare that I buy issues monthly anymore, but I'm going to be buying this, that's how excited I am. Well I'm excited that you're excited! Of course I don't mind you comparing me to other artists, my old stuff was Jim Lee-esque! And how could I ever mind being compared to Darwyn Cooke?! Marineman is in the style I prefer drawing in but if I'd drawn like that when I was trying to break in to comics, I doubt I'd have been hired! That's a really nice thing to say about my current style looking reminiscent to Ringo's stuff - Mark Farmer said exactly the same thing to me while I was drawing the Hulk for Marvel! Thanks for taking the time to post, and if I get more reactions to Marineman like yours then I'll be a very happy man indeed!